Disclaimer – This is not a review, I don’t own Street Fighter V.
Street Fighter V developed by Capcom is the latest instalment in arguably the most famous fighting game franchise in the world but that doesn’t excuse the severe lack content in this full priced game that they’ve put out last week. Games having new features added after launch is nothing new and in most cases it’s usually a benefit to the player. Content can be added to either improve the experience or fix a problem players are having, both good things. The problem with Street Fighter is that they have left out game modes that most fighting games have launch. They have promised to add these in a free updates throughout the year (at currently undisclosed dates) but at the the time of writing these options are only viewable on the in-game menus but just greyed out so that you can’t select them. Arcade Mode – A single player mode where you fight through 10 or so CPU opponents with a boss at the end. This has been included in almost every fighting game ever. Challenge Mode – Presents the player with a number of increasingly hard moves and combos to perform specific to each character. In Street Fighter IV these were a great way to actually learn how to play without having to consult online guides. They have also announced daily challenges will show up here from march so you can earn some bonuses but no details are currently available. Online Lobbies – Where you can get together with up to 8 people and take turns fighting each other with the winner going on to face the next challenger. As it stands you can only connect with 1 friend at a time. Spectator Mode – In this mode you can spectate live fights other players are having and will be able to search for players or matches involving specific characters. Story Mode – Reportedly a cinematic story mode involving all the characters but there hasn’t been any footage of this shown anywhere. This is said to coming in June. In-game Store – The place where you can buy the additional characters and new outfits with real money or currency you can earn by playing the game. This part is especially weird as you can earn the right to buy the new costumes in game but you’re not allowed to actually buy them until they open the store in march. Street Fighter 5 plans to release more characters at a rate of one a month. Adding extra downloadable fighters is nothing new to modern fighting games but usually the company waits a few months before releasing more things for you to buy. It does make wonder whether the characters releasing shortly needed some extra development time or if they were held back so they could sell them to us later. Now some staunch defenders of this game will tell you that all off the DLC characters can be purchased using in-game currency which is technically correct. But as the game stands it would take a very long time to earn enough to purchase all of the characters they’ve announced so far. For the average player once you finish all the single player content in the game right now minus the hard modes you’ll end up with about 250,000 Fight Money (which is SF5’s in-game currency). The new characters are 100,000 and the new costumes are 40,000 so you’d be able to get 2 characters and 1 costume. After this the only way to earn more is by winning online matches which might not sound too bad if you’re good at the game. But for anyone new to the game depending on who you get matched with it could be impossible for you to win, especially with the lack of tutorials in the game. You get around 50 Fight Money for winning an online match meaning you’d have to win 800 ranked matches for a costume and 2000 for a new character. So any low skilled player will be heavily encouraged to just pay some real money to unlock things or they’ll just stop playing altogether which isn’t good either. To me this just doesn’t seem right for a full priced game. You’ll notice that most of the things that are missing are single player modes. While I agree that the main attraction of Street Fighter is the 2 player versus mode there is almost nothing to play for beginners or people who don’t like online gaming. There are almost no tools within the game to teach yourself how to play either which shouldn’t be happening in this day and age. You shouldn’t have to go online just to understand how the game you paid for works. Supposedly it was released early so that players would have it in time for some big american tournaments coming up shortly, which most players who just pick this up on a whim will have no idea about. Capcom had not made this very clear leading up to this, evident by the amount of people who have been left regretting their purchase. They should have just waited until everything was ready and released it in June or charged a lower price for the version they put out. Personally I’ll be waiting until there is a price drop before I pick this up which is very disappointing because I’m a big Street Fighter fan. I am only writing this as a potential warning just so people know what they are getting into if they are on the fence. 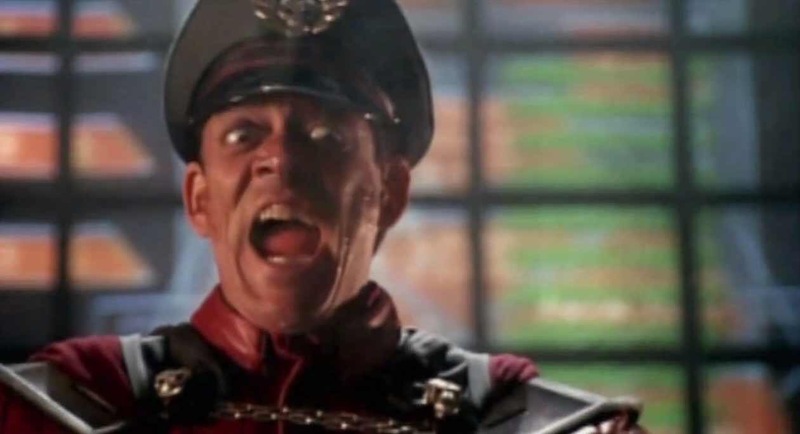 Now if anyone needs me I’ll be watching Street Fighter: The Movie to cheer myself up. I KNEW THIS WAS GOING TO HAPPEN! Capcom just does this with every damn title they put out. I picked up on it when they said that everything was going to be freemium. Honestly, I was waiting it out because game companies NEVER seem to get online netcodes right on launch. However, I have to disagree on the gripe about the fight money; I see this as a way to offline players into online matches. Sure, it depressing when you lose matches all the damn times, if your not a technician like the expert fighters online. But the reality is, there is serious competition online and the only way truly get better is to lose and learn. Yea, I see your point of view about the fight money but a low skill player who wants all the characters will have to pay quite a bit of money. About £74 at the moment. Hopefully with price drops/sales this might become a bit more palatable.